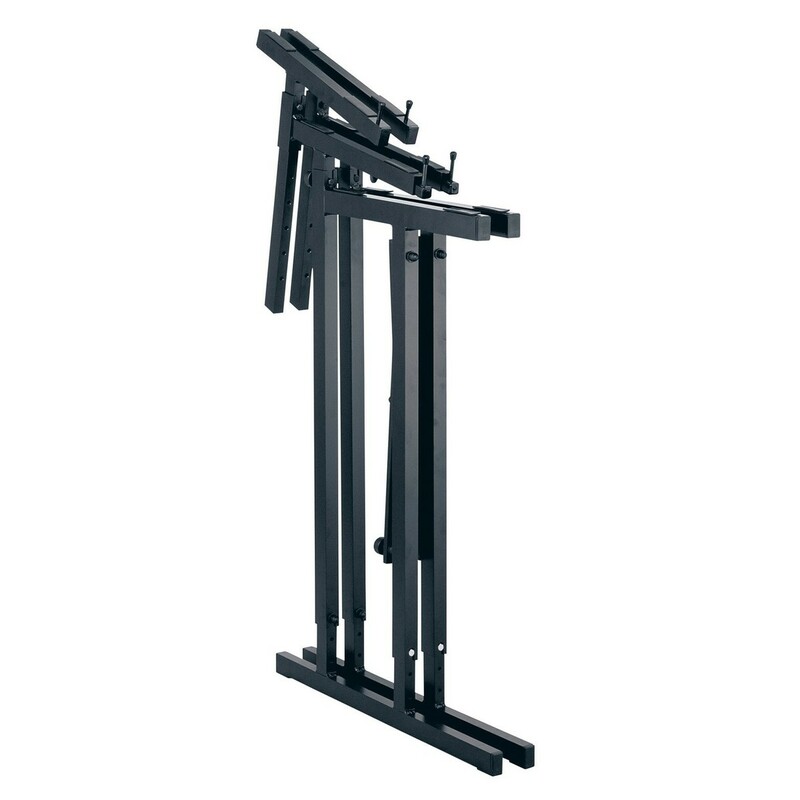 The K&M 18880 Table Keyboard Stand is reliable and easily portable for the gigging musician. The table style construction can fit an entire range of keyboard sizes due to its adjustable width and diamond centre beam. The aluminium build is lightweight and can hold up to 50kg, making it suitable for synthesisers, workstations and more. Weighing just 3kg, the 18880 can flat pack for easy portability. 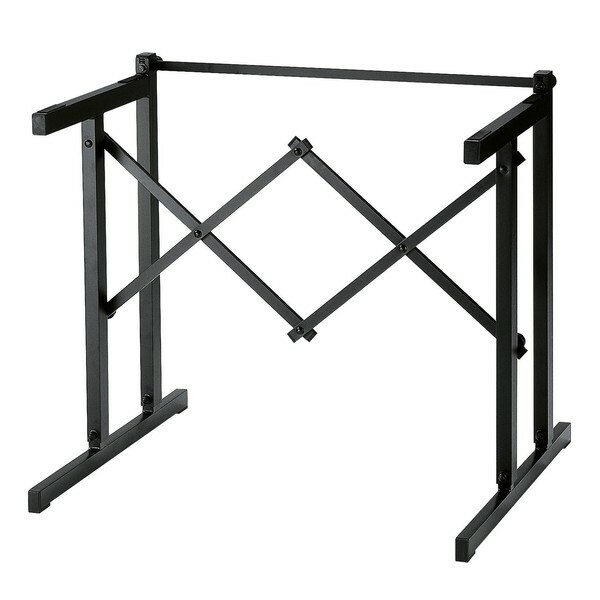 The black powder coated finish provides a smart look that is as suitable on stage as in the bedroom.